The Real Steel Alieneck fixed blade represents a collaboration between Real Steel and knife-maker Ostap Hel. 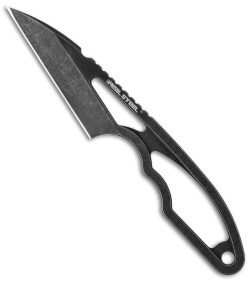 Designed to be a comfortable everyday carry knife, the Alieneck features smooth lines and a Wharncliffe style blade made from Sandvik 12C27 stainless steel. 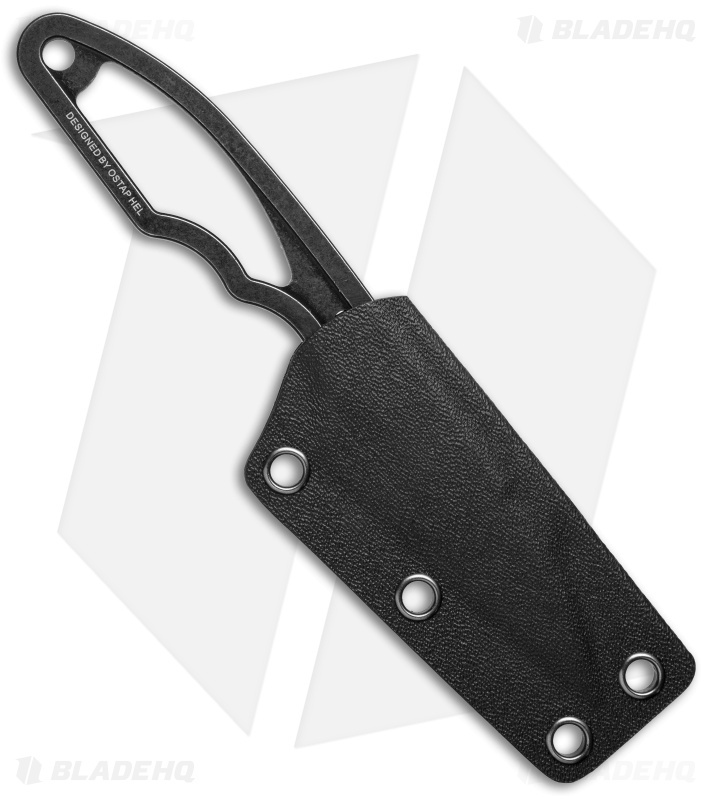 The skeletonized handle is strong and lightweight, which is ideal for wearing around your neck. Deep finger grooves and jimping provide a safe and secure grip on the knife you can trust during difficult cutting tasks. Item includes a kydex sheath and a lanyard for wearing around your neck. This version of the Alieneck has a Wharncliffe style blade in a black finish. It is of good enough quality build and material but it's major disapointing feature is it is very thick and binds during cuts and not stable enough to thin down to get good cutting performance from.